Home > Blog > NMB employee Maria Peterson double podiums at National Championship! NMB employee Maria Peterson double podiums at National Championship! 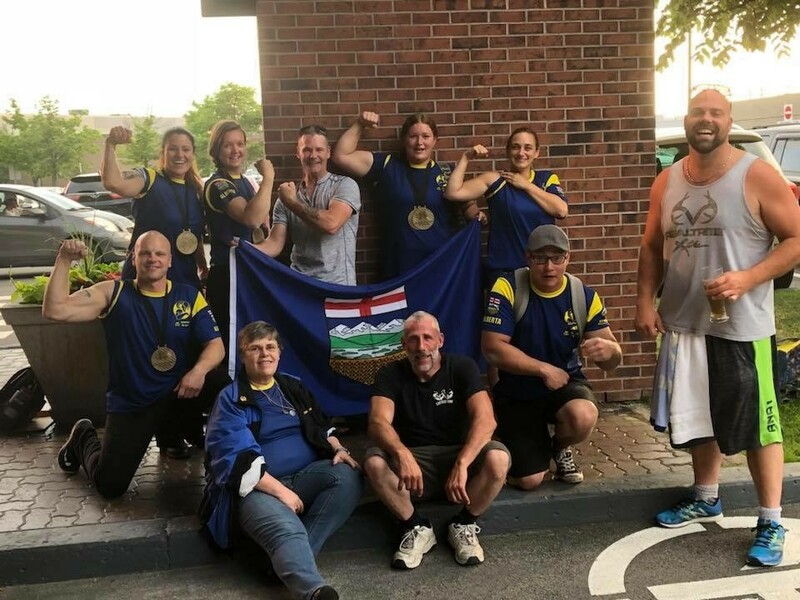 A few months ago we told you about Maria Peterson, the local athlete and Northern Mat & Bridge employee who is an integral part of our mat manufacturing plant in Rycroft Alberta. After months of tireless work and dedication, the event she has been waiting for was finally here. 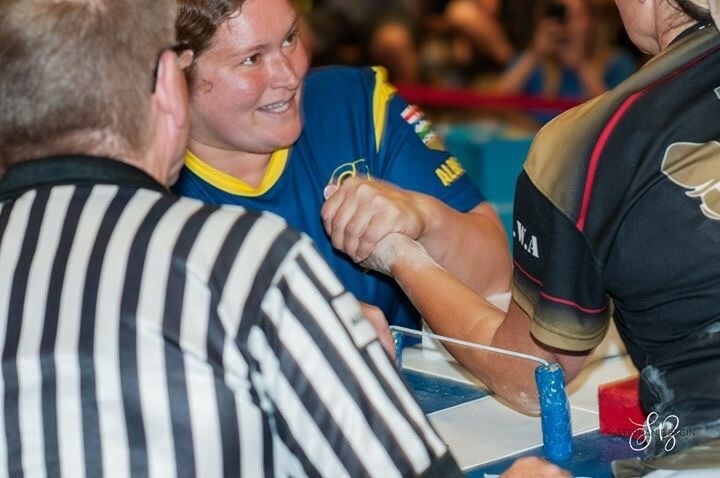 Maria recently traveled to Laval Quebec to represent Team Alberta at the 2018 Canadian Arm Wrestling National Championships on June 29th-July 1st defending her national titles thanks in part of support from Northern Mat & Bridge. We couldn’t be happier seeing Maria succeed on a National level. We caught up with Maria just as she returned from her trip and she had this to say about her experience! “We arrived in Laval on Tuesday June 26th. We stayed in Quebec for seven days. The taxi dropped us at our Airbnb where our hosts used their six year old daughter as a translator. We stayed in an apartment beside their house. I did not have to compete until Sunday so we had a few days to explore. We were in a very diverse and historic neighborhood. There was seafood markets, cheese shops, bakeries and specialty shops on every corner. Of course I have to mention while we were there the area was in an extreme heat wave, and at night the heat comes out of all the brick and stone architecture and it just stays so hot. I got to be the Alberta flag bearer during the Opening Ceremony with my friend Annie from Grande Cache. That was an honour. The competition was a triple elimination meaning you had to loose three times to be out. However they take the weight classes down to two competitors who each go into the finals. In the finals the slate is wiped clean and you have to beat your opponent three times to win. Most of my matches I won with ease, however I knew Ontario has some extremely strong women. The weight classes go up to 80kg then there is just the all the ladies over 80kg in one class. This year there were 8 women in my class. Five of them went home with nothing and three of us held the podium in both arms. I had already been beat by Sarah Wilson last year. So I knew she was one to watch out for and she definitely was! Alma Kuhel I had never met before so I feel like I underestimated her in the right. When I came up against her in the left I knew I had to be more aggressive and I was able to obtain a Silver Medal with my left arm and a Bronze Medal with my right.